Bundle products in Magento 2 are one of the several complex product types. Such products let customers create their own products from the available variants and “bundle” their own set. 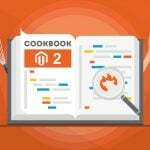 In this guide, we will show you how to create bundle products and how to import such products to Magento 2 catalog. As it has been mentioned above, the bundle products let customers compose their own set of items. Say a camping set, where customers select a tent for two, three or four persons, decide if they want a boat included, and polish it all with a grill of their liking. Basically, instead of visiting three separate product pages, customers can get ready for camping from a single page. Bundle products are similar to grouped and configurable products in how they work. All three complex product types combine simple products to offer a customer better shopping experience. The main difference is in how the products are delivered to the screen. Configurable products offer multiple variations of a single product, like different colors. Grouped products provide a pre-composed set of products, without variations. Bundle products offer a set of products with variations, unique prices, shipping, and quantity. Before creating bundle product we first need to make sure that we have created all the simple products that will be assigned to it. In other words, we are not creating a single product; we are first creating products that will be used in the bundle, then we create a bundle. With simple products, I believe everything is clear. 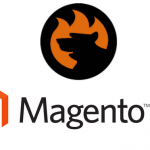 This is the most basic Magento 2 product, and you should be already familiar with it. Bundle product can assign dynamic SKU suffix to all simple products sold as a part of it. Basically, it will add an SKU of a parent bundle to each simple product at the order details page. This can be helpful if you also sell simple products included in the bundle separately. 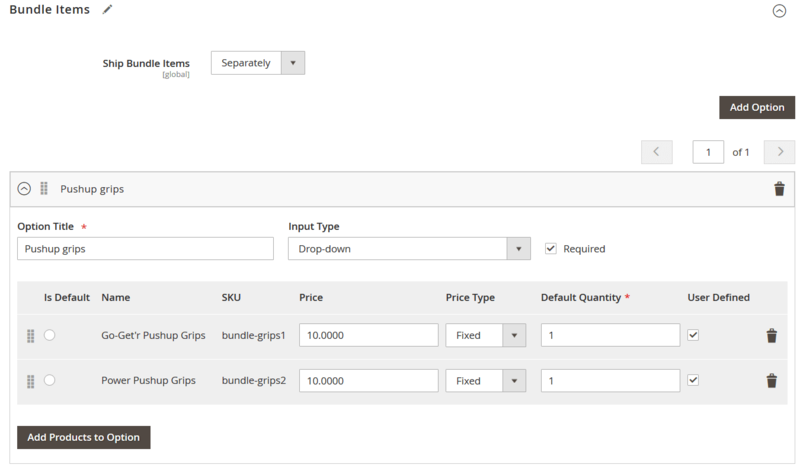 So, let’s move directly to bundle products and navigate to Catalog > Products screen. Here, we click Add Product > Bundle Product. Most of the product attributes available at the bundle product screen can be found within a simple product. To shorten the guide, we will omit such attribute and will only explain how the bundle-specific attributes work. Dynamic SKU adds the simple product SKU as a suffix to the SKU of the bundle products. The suffix is added to the order details page for quick reference and helpful reporting data. Dynamic Weight – if enabled the bundle weight is calculated as a total weight of all simple products selected by a customer. If disabled you can specify a set weight manually. Dynamic price – if enabled the bundle price is calculated as a total of all simple products customer purchases within a bundle. If disabled you can specify flat bundle price and add either flat or percent value to each simple product included in the bundle. Two products with percent price of 5% and 10%. The percent is applied to the price of the bundle product, meaning 5% will be $6.15 and 10% will be $12.30. As you can see, the simple product prices we have set manually are added to the set bundle price of $123. Now, as we are clear with the general bundle product attributes it is time to assign simple products. This can be done from the Bundle Items section. Here, you decide how you want the items shipped, either all itms together, or every item from the bundle will be shipped separately. Then, we can add the options to the bundle product by clicking ‘Add Option’ button. The option is somewhat of a group within a bundle. You can have several multiple options assigned to each bundle, like in the example with tents and boats. When the option is added, you can add the simple products by clicking ‘Add Products to Option’ button. At the Add Products to Option grid, you are represented with the product catalog, where all created products can be found. By applying necessary filters, you can find the simple products you want to be assigned to the option. When done, click ‘Add Selected Products’ button to proceed. With Is Default checkbox you can define which products will be pre-selected when the bundle page loads. Then, if Dynamic Price option is disabled, you can specify the Price of the selected simple products, and define the Price Type: fixed or percent. If Dynamic Price is enabled, Price and Price Type fields will be missing, and set prices of simple products will be used instead. Next, you can set up Default Quantity. It defines how many simple products will be included in the bundle by default. This can be useful depending on the wares or services you offer. When done with setting up simple product attributes, you can either add another bundle option or save the product. Congratulations! You have just finished creating a bundle product. Before going in depths of import procedure, we strongly advise reading through the Complete Guide to Magento 2 product import/export. In this guide, you will learn basics of product import and export procedures and will learn how to format the CSV table, how to compose the attributes and fill all necessary information. In this very article, we will focus on the bundle product-specific attributes and will learn how to import bundle products to Magento 2 store and keep all simple product ties. Let’s get to it. Magento 2 guidelines shed a little on the issue and in some cases shouldn’t even be trusted. For example, Magento 2 team suggests that attribute associated_skus is used to tie simple products to bundle parents; however, it is not. What attribute(s) is used then? The main attribute that should ALWAYS be in the import table is bundle_values. It contains all the necessary information to tie simple child products with the bundle parent. All other attributes carry other bundle product specific values, however, if absent Magento 2 will put in default values. bundle_values attribute, however, defines how bundle options work, what products are assigned to options and covers product settings. We will break these attributes one by one and explain which values are expected from the store owner to import a fully functional bundle product. While reading about bundle product attributes feel free to reference any values to the Master Table we have composed in the Google Sheets to make the import process more accessible. One of the sheets is dedicated to the bundle product import, it is fully functional and works like a charm with hints and product attribute description. We will talk about Google Sheet Master Table and import from Google Sheets later in this article. Option title, Input Type, Required, if simple product is pre-selected (is default), SKU of a simple product, price of a simple product, price type of a simple product, default quantity and if qty of a product is user defined. All these values go into the bundle_values attribute for EVERY simple product. Let’s draw a table of these options and their attribute values. As you can see we used comma to separate attribute values and pipe to end the line. After the pipe we can add another simple product in the same pattern. Now let’ actually read what have we got in the attribute. We have Option Title ‘Camping tent’, and customers will select from the drop-down, this option is required, and this simple product is default, it is ABC123 simple product, with price of $12.34, the price type is fixed and default quantity is set to 10, and customer can adjust the product quantity. Simple huh? If bundle Dynamic Price is enabled you don’t need price and price_type values. If Dynamic Price is disabled make sure to include price and price_type values. If you do not want customers to define product quantity set can_change_qty to ‘0’. That’s pretty much it, now you can fill in bundle_values for your import table properly. If you still have any questions – make sure to leave a comment in the end of this article. fixed – mean that the Dynamic Price is disabled. price range – from the lowest possible bundle total to the highest. For example: $100-$200. as low as – only the lowest possible bundle total will be displayed. fixed – only the SKU of a parent bundle product will be displayed on the order details screen. fixed – the weight of the bundle product is always the same and is inputted manually. separately – items of the bundle product will be shipped to customer separately. 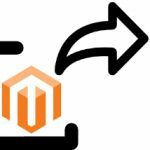 The import procedure of bundle products can be enhanced with the help of Magento 2 Improved Import and Export extension by FireBear Studio. The extension allows to schedule the import and export jobs, allows import from a variety of sources and comes with the table and attribute mapping functionality. What is also important the extension support import from Google Sheets, and we would like to share with you the Google Sheet Master Table. In the Master Table we have composed a dedicated table for Bundle Product import. In this table, you can see all main attributes of the bundle products, how to fill in product attributes and can use this table as a draft for your import table. Every product attribute in the table comes with the description and hints on which values are expected from the store owner. If you are new to Magento import procedure or want to make sure your clients understand which values are expected from them, feel free to use the table. It is completely FREE! So, this is it for Magento 2 bundle products guide. We hope that you have found lots of useful information and your questions have been answered. If still any questions – feel free to leave a comment.